INBA PNBA Australia Season B is only 10 weeks away! Team Flexr6 will get you onstage in your best ever condition! Team Flexr6 are the first time competitor experts! 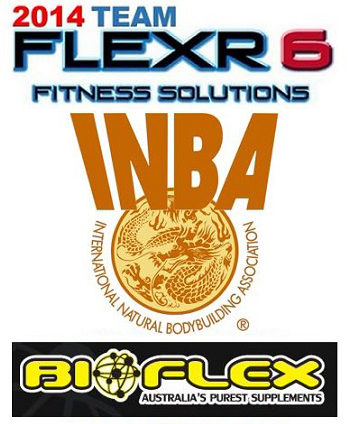 The Flexr6 Global App with your INBA PNBA Australia Competition Preparation provides you with the knowledge, advice & support to implement your supplement, nutrition and training in a convenient and central location – right there on your smart phone! Flexr6 INBA PNBA Australia Competition Preparation encourages you to be accountable through the submission of your weekly measurements and pictures to your Flexr6 Global trainer which leads to awesome progress throughout the duration of your Team Flexr6 INBA PNBA Australia Competition Preparation. Post your Personal Best workouts on Facebook! 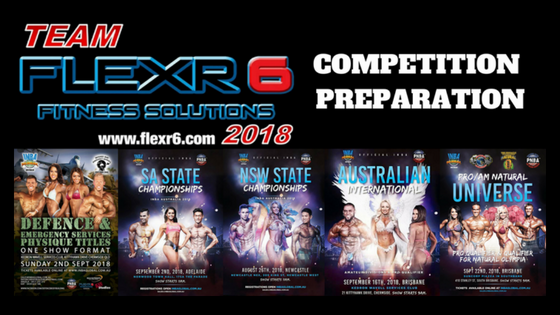 Read more about your INBA PNBA Australia Competition Preparation with Team Flexr6 here or leave a comment below or send Flexr6 a message via our contact form at the bottom of this page! You can also contact us via any of our social media apps including Facebook and Instagram! We will respond to you within 5hrs!